Events on Sep. 30 (Sun.) have been caceled. 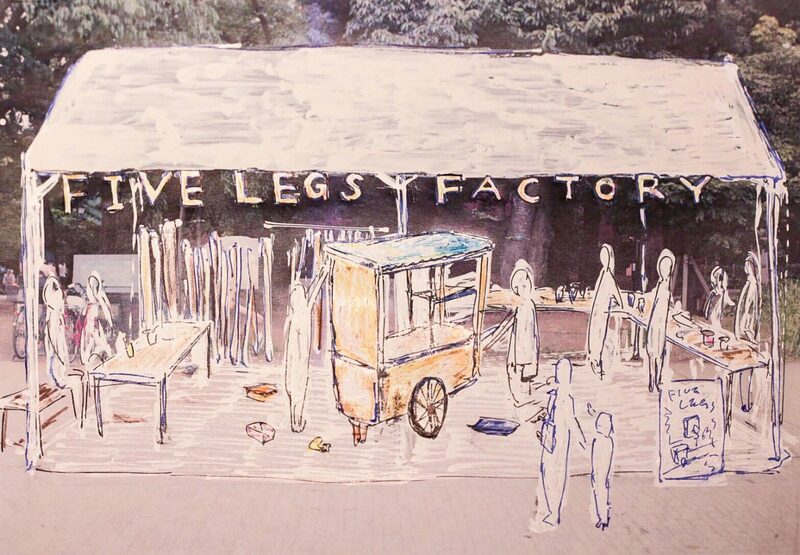 “FIVE LEGS” is a project that utilizes the street stall of Indonesia known as “KAKI LIMA” to create a new scenery on the streets by “interpreting” the daily lives in urban areas in a society with a different culture. A “KAKI LIMA” will be assembled at the Park and this “KAKI LIMA” is expected to emerge from the stillness of Ueno Park on the final day of our performance. Locations where people gather are detected to mobilize the “KAKI LIMA,” the mobile street stall, which in itself can become a venue where people gather, to create a new scenery where people congregate at Ueno Park. *The production is open to all visitors.